I leave pieces of myself in my contemporary paranormal romances. In The Invasion of Falgannon Isle and now Riding the Thunder I draw heavily on memories of growing up, of places and people that touched me in some form. Most of these people and many spots are now long gone, though they still live in those shining memories dear to me. In The Invasion of Falgannon Isle, it was the Scots and their wonderful humor, the ability to accept there’s more to this world than just what we see, their ability to laugh at any situation. Not just at, but with. I took those wonderful memories and spun a fantasy that created an imaginary isle with 213 bachelors and with only three unmarried women―two were gay and the remaining one was a woman the males couldn’t court because of an ancient curse! It’s a Brigadoonish romp that came straight from my heart. When I moved to the second book in the series, I wanted to do something fresh, not a carbon copy of the first book, so I looked to the other half of my roots―Kentucky. 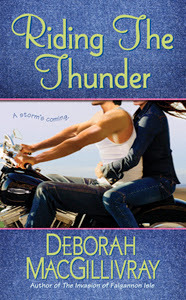 One reader who recently read Riding the Thunder said she loved the book so much she wished there really was a place called The Windmill. Well, in truth there was. 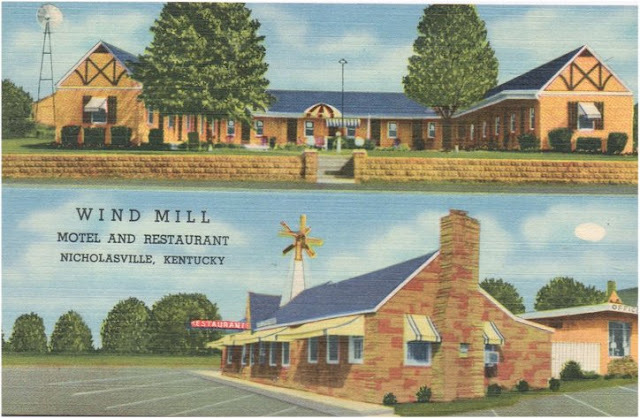 There actually was once upon a time a small restaurant with that name on Lexington Pike, that was about halfway between Lexington and Nicholasville. Long ago, the suburban sprawl of Lexington saw the distance between the massive college town and the small southern community fade. My parents were separated, then later divorced; Father lived in Britain, while my mum lived in Kentucky. I stayed with her during the school year, but holidays and summers I spent in England and Scotland. Sadly, my parents still cared about each other, so it was too painful for them to face each other when they ‘handed me over’, so for a week or two I was sent to stay with Mum’s step-sister, until I was collected by the other parent. I always enjoyed those stays. I got to see the beautiful horse farms in the bluegrass area. I enjoyed the small town pace, where everyone knew each other, where eccentrics and oddballs were relished, much in the same manner the Scots did. These out of way places have their own pace, and it touched my imagination. So, yes, the Windmill did exist. A horse farm was across the road from it. 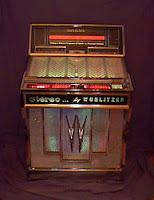 It had a Wurlitzer that tended to play the wrong tunes at times. There was a swim club, a motel and a Drive-in. And there was even a young man nicknamed Oo-it! Over the years, I visited the area less and less. It hurt to see the city sprawl, the giant Lexington pushing closer and closer, until finally consuming the tiny town of Nicholasville. All its special flavor, its quirkiness was lost. Only those images, those seeds lived in my mind. I wanted to capture that timeless feeling, so thus my stage was set for Jago Mershan and Asha Montgomerie. My stories always evolve with the questions of who and why. I see a scene in my head, such as the opening of Chapter One. I saw Jago sitting at the bar, waiting, and drinking a beer. Who is he? Why is he there? Whom is he waiting for? Why is he waiting? He’s waiting for Asha naturally. Then when Asha enters, it’s more questions. Where did she just come from? I knew who she was basically, since she was the little sister of the heroine in the first book in the series, but the questions then moved me to defining Asha and her quirky world. Cats seem to wander into my stories, so I wasn’t surprised the nameless cat appeared and took up with Jago. I kept trying to name the black cat, only he defied being named, so that became a part of the story as well. As for the tune Tell Laura I Love Her―the song was very popular when I was a child and it seemed play endlessly on the Jukebox at the real Windmill Restaurant. Everything is so sharp in my mind. I recall the beautiful Wurlitzer, the wallet changers on the walls by each booth, the way the sun came through the plate glass windows that ran across the front. 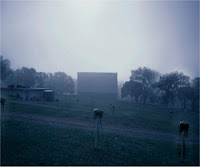 The Drive-in showing Vincent Price movies, the scent of baby oil and chlorine from the swim club, the smells, the diner’s chatter, the Kentucky River, Lock 8, all of these elements created vivid memories within me that lived and were nurtured within my heart. The one day, Riding the Thunder was born. As you know, DeborahAnne, Jago is my absolute favorite HERO! :) I just watched the video on COVEY Awards, and it was super. I hope you get a ton of votes. I love this book, too. It's on my keeper shelf.